When it comes to last week’s 45-point drubbing at the hands of Owasso, Bartlesville High School football coach John McKee doesn’t want his team to have a short memory. He’s hoping his Bruins will storm out onto the field Friday night with a chip on their collective shoulder when they take on the Cascia Hall Commandoes. Kickoff is set for 7 p.m. at Custer Stadium. “Obviously, you want to take some things from this game (Owasso),” McKee explained. “The score of 59-14 still has to sting. It still has to hurt. … Owasso is not that much better than us.” More fuel could be added to the Bruins’ fire with the recollection that just two years ago — this same week of September — the upstart Commandoes upended a highly-favored Bruin squad, 31-23, in Tulsa. The Bruins had led in that 2014 game, 21-7, before sputtering and toppling expectations of a special season. Whatever the Bruins (1-1) achieve this coming Friday they’ll have to do it with a new starting quarterback. Junior Will Walton — who last week was pressed into second half action against Owasso — has received the nod due to an injury to senior starter Garrett Meidl. “How bad it is, the severity, we don’t know,” McKee said about Meidl’s condition. “He went … to a doctor to have it checked out.” After coming off the bench, Walton displayed sparkling promise by hitting 12-of-16 passes for 136 yards and two touchdowns. In retrospect, Walton’s rugged baptism in the furnace of fire against Owasso turned out to be a benefit. “It’s tough,” McKee explained. “You’re a back-up quarterback and also of a sudden you come in the game you’re playing Owasso and they’re blitzing the crap out of your offense. … As the game went on, he threw a couple of touchdown passes. Hopefully, he’s gotten over the hump.” Keys for Walton to compete effectively Friday will be “to relax and let the game slow down and execute,” McKee continued. “He’s done a good job the first couple of practices this week. … Will Walton is a student of the game. He’s very sharp and very intelligent. He knows the ins and outs of our offense and where everybody’s supposed to be.” Bartlesville’s biggest challenge, however, may be on the defensive side against the ground-based, active Commando offense, McKee said. Cascia Hall doesn’t have a lot of outstanding athletes, “but they’re very good at what they do,” he continued. “They do it really well. You have to do a good job playing assignment football. If you don’t do what you’re supposed to, it could be a long night.” He expects Cascia Hall to attack in several different ways, including option plays, misdirection and on boot plays. “That forces you to do assignment football,” McKee repeated. “If we do that, we give ourselves a pretty good chance. It is something we’re going to have to focus on because we’re a young football team. It’s good for us to have a game where we’re forced to do what we’re supposed to do. It’s a good thing going into district play.” But, beyond the X’s and O’s is taking care of the ball — something at which the Bruins graded at ‘D-minus’ or a flat-out ‘F’ last week. Bartlesville gave the ball away five times — four fumbles and an interception — to Owasso, and also turned the ‘skin over on downs. “You can’t turn the ball over six times and expect to win the ballgame,” said McKee. “Owasso is a good team, but they’re not that much better than us.” Despite a new presence at quarterback, the Bruins will operate out of the same basic offensive packages. “We’re not going to approach this differently than any other game,” said McKee, adding the Bruins will give what the defense gives them. If Cascia Hall tries to load the box to limit the running of Joe Lard and DeAndre Young, the Bruins will employ a passing assault. If Cascia Hall sells out against the pass, the Bruins will run up the gut, he added. One of Bartlesville’s most consistent forces has been senior receiver A.J. Archambo. Through two games, Archambo has amassed more than 300 receiving yards and five aerial touchdowns. The Bruins also produced a new defensive star last week in sophomore safety Cody Winters, who grabbed two interceptions. 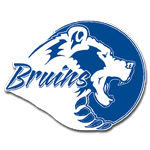 Next up for the Bruins — who will have a bye on Sept. 16 — will be their District 6A-II-2 opener on Sept. 23 against Muskogee. Notes: Cascia Hall (1-0) — which competes in Class 4A — is coming off a 48-10 victory against Class 2A foe Holland Hall. … Bartlesville has scored 34-or-more points in every Week 3 game since 2012. ... Bruin A.J. Archambo is on target for another 1,000-yard receiving season.